If you are anything like me when working, you tend to skip breakfast most mornings in an attempt to hurry out the door for the day. I go through phases of being good and making smoothies, and they fall off the wagon when I neglect to prep one week. 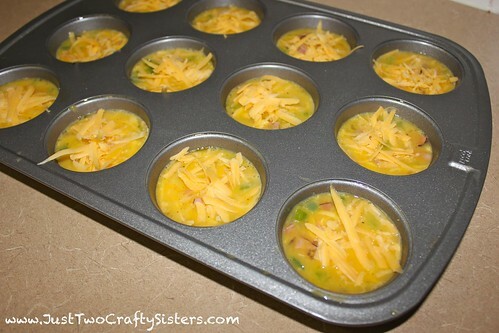 I found a fantastic idea on Pinterest: egg muffins. 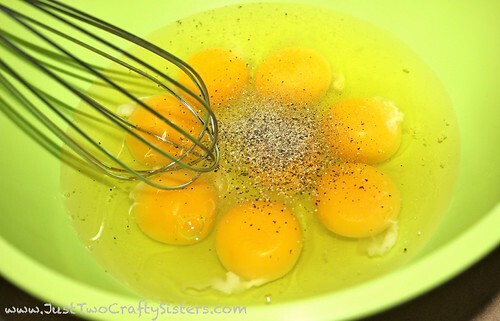 They can be made with whatever ingredient you like to put in a scramble or omelet. I opted to go traditional on my first attempt and when for bell pepper, ham and cheese. A new option for breakfast on the go! Preheat oven to 350 degrees. Coat a small skillet in cooking spray and heat over medium-high heat. 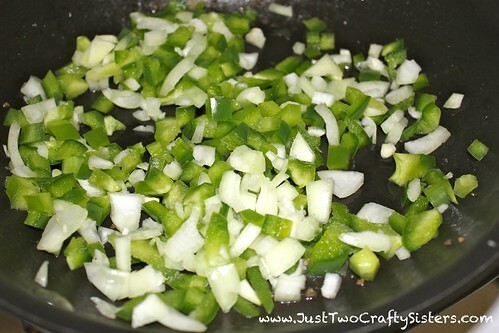 Add the bell peppers and onions. Sauté for a couple minutes until slightly softened. Add ham to the pan. 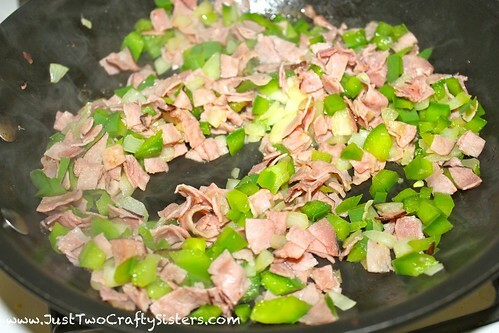 Continue sautéing for a few more minutes until ham is slightly browned and vegetables are softened to desired consistency. You can also add the milk at this time if desired. 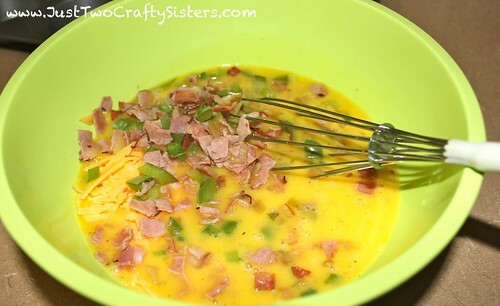 Add the ham and veggies mixture to the eggs along with the shredded cheese. Stir together. 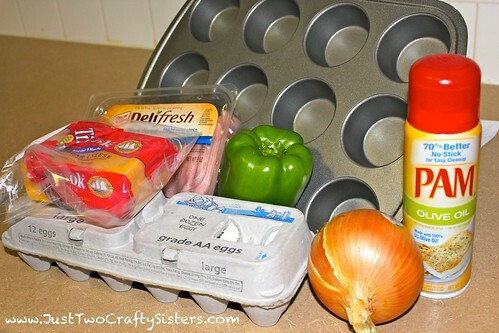 Coat the muffin tin with cooking spray. 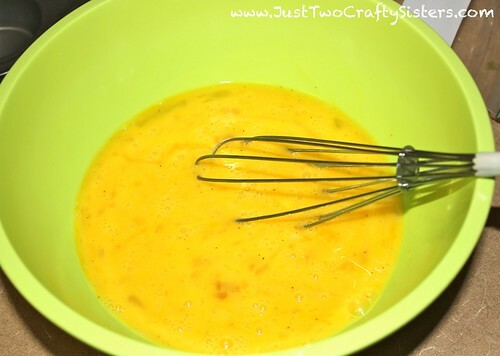 Pour the egg mixture into each muffin, filling it about 3/4 of the way full. 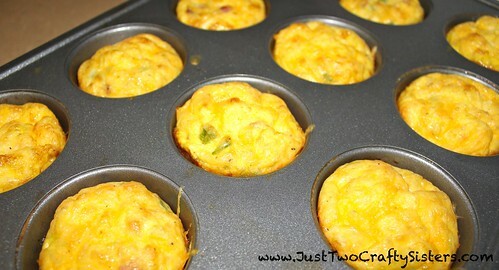 These will expand as they cook so make sure ot not overfill each egg muffin. Top with a little more cheese if desired. Bake at 350 degrees for 15-20 minutes. 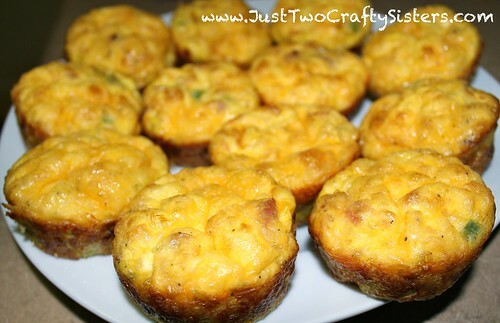 Use a toothpick to make sure the egg muffins are solid throughout. Remove from the tin and enjoy! I wrapped them individually in foil and took them to work as a great healthy way to start the day.